The Betrayal of a Legacy: Marcus Garvey and Economic Empowerment | Kam-Au Amen & Co.
Capitalism is necessary to the progress of the world, and those who unreasonably and wantonly oppose or fight against it are enemies to human advancement; but there should be a limit to the individual or corporate use or control of it. It is true that Garvey’s reputation was tarnished, the movement was slowed and that his message struck a chord in the hearts and minds of black people worldwide, but it is false to claim that it did little to diminish the impact of his message and by extension his ultimate objective. His primary objective was not only the installation of local politicians, rather his ultimate objective was prosperity for people of African descent; something divisions of organizations like the United Nations today seek to achieve with the objective of reducing poverty. Through a raft of organizations the wealthier countries give development aid to poorer countries today. A slew of non-profit organizations are actively in pursuit of development/empowerment/poverty alleviation (differences exist in the philosophy of each approach) initiatives today, and some private individuals are on the loose with the next idea as to how to get your money to reduce poverty and develop Africa and Africans globally. The question therefore is what was so wrong with Marcus Garvey’s efforts to empower people of African descent and move them out of this poverty we are witness to today? Did this level of poverty have to exist among Africans today? Garvey was the first black man to say in a big way, stand up, Africa must be redeemed. He wanted the black man to have a continental base for his standing in the world and he had a plan to make all that happen. However, while he was talking race pride, he was not preaching racism - that is the key that makes me comfortable as a white man to deal with Garvey. A second reason they advance for not embracing Garvey’s ideas is that Marcus Garvey is a crook, which is precisely the reason initiatives to clear his name have been ongoing over the years, including the one currently being undertaken by the Jamaica government. It simply is not true and the evidence has been gathered to show it. Essentially, a clean record is the promise they expect exoneration will deliver. It may, and I support it, but I want more. Be assured of this, that in the African’s rise to wealth will come the adjustment of most of the wrongs inflicted upon him. We must have wealth in culture, wealth in education and solidly wealth of economic values. The thing that counts in the world is money, it is material wealth ... we are determined to get our portion ... and when we get it to the extent we want it, we know that there will be no more color line. Wealth is strength, wealth is power, wealth is influence, wealth is justice, is liberty, is real human rights. The system of our world politics suggests such, and as a fact it is. Each of these points above generated a set of other activities that gave rise to a very complex and powerful organization of black people at a time the world was not prepared to accommodate them. Therein lies the reason for the straw men that would eventually derail Garvey’s movement. How many of his objectives above have been achieved? Do we expect that the UN, development aid, or celebrities will accomplish these for the poor black people around the world today? If the belief is that the rest of the world will end the poverty in Africa and its Diaspora then that is the first shred of evidence you have that the impact of Garvey’s message is diminished. It is in this context that I agree with economist Dambisa Moyo’s 2009 book Dead Aid: Why Aid Is Not Working And How There Is A Better Way For Africa. Ms Moyo’s point in her book is that we have to insist on an alternative to an Aid-only model of development, which is what currently dominates. She argues that aid discourages the addressing of critical internal issues such as trade within Africa, the movement of people within the continent, the challenges of the need for visas, and the exorbitant costs to move within Africa (and the African Diaspora). She says issues such as these need to be addressed if the African nations are to see meaningful development. Interestingly, many African Diaspora economies like Jamaica and others in the Caribbean are challenged with similar issues. Many tend to first suggest that corruption has been the undoing of Africa. However, I noted with interest Moyo’s suggestion that though corruption exists, to suggest that it is the sole reason for Africa’s underdevelopment is not supported by the evidence, since many countries in Africa are not necessarily more corrupt than some other more prosperous places in the world. If this is so then clearly other factors are at play in Africa's lagging development. Moyo from my reading speaks to some of those factors, she does not see solving corruption as a prerequisite for development as she gives examples of how some Asian countries have grown in spite of corruption equal to or worse than that in Africa. That said, one could reasonably conclude that Africa's problem is not primarily moral, nor is it primarily political as in the systems of governance, rather it’s considerably economic. Indeed, this is the conclusion Marcus Garvey arrived at by 1919. Why then have we missed it? Dambisa Moyo’s solutions are predicated on making capital work in the context of the market. No doubt, they are more technical than Marcus Garvey would have articulated, but the essential principles remain. She proposes making governments more accountable by directing them to the bond markets, encouraging foreign direct investments, encouraging trade (within and outside of Africa), facilitating financing a la Grameen Bank model, encouraging other innovative solutions to bring the poor and their earnings/savings/remittances into the formal system to enable them to grow their wealth. Aid has not allowed these things to happen over the years and so the approach deserves to be revisited. On the contrary, if Marcus Garvey’s movement would have led to solutions as outlined above, and therefore would have brought wealth and prosperity, and by extension poverty alleviation as we have come to know it, then how could we conclude that his message and impact were not diminished? 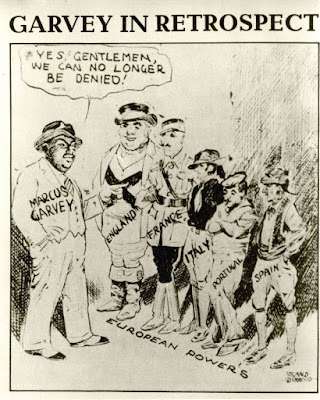 The smear campaign such as the trumped up mail fraud charge against Marcus Garvey was designed to discredit Garvey’s message, the impact of which were the conditions that gave rise to the present conditions of miserable economic poverty and social depravity in Africa and its Diaspora. If we are to rise as a great ... national force we must start business enterprises of our own; we must build ships and start trading with ourselves between America, the West Indies and Africa. We must put up factories in all great manufacturing centers of this country, to give employment to the thousands of men and women ... we must manufacture boots, clothing and those things that people need, not only our people in America, the West Indies and Africa, but the people of China ... India ... South and Central America, and even the white man. He has for hundreds of years made a market for his goods among Africans ... therefore, Africans have the same right to make a market among white people for his manufactured goods. These words resonate deeply with sentiments that favor a belief in the market and capitalism, which many others including the Chinese have come to favor much later than 1919. 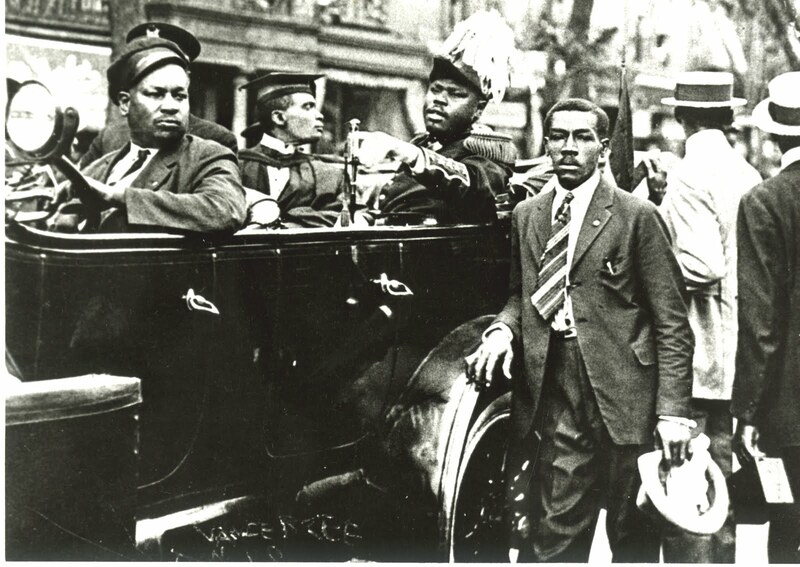 After all, it was Marcus Garvey who said, “Capitalism is necessary to the progress of the world, and those who unreasonably and wantonly oppose or fight against it are enemies to human advancement.” His rationale for this position was that although the system is ruthless it was the one that allowed the disenfranchised blacks the best chance at self-empowerment. I do agree, with the benefit of hindsight. All wealth is good. God created all wealth and never created poverty. The man who is poor in the world has created his own poverty... What I mean ... is that you were born rich with the senses. All the wealth in the world today is the product of man's senses. The African must become wealthy; he must become a master of finance, a captain of industry, a director of science and art, an exponent of literature; he must develop a concrete philosophy, and with combination of all these he must impress himself... upon the civilization of the world. To the contented soul, wealth is the stepping-stone to perfection; to the miser it is the nearest avenue to hell. I would prefer to be honestly wealthy, than miserably poor. I will not claim that all the ideas of Marcus Garvey are appropriate for this period, I certainly take issue with a meager sum, which in truth were very contextual. 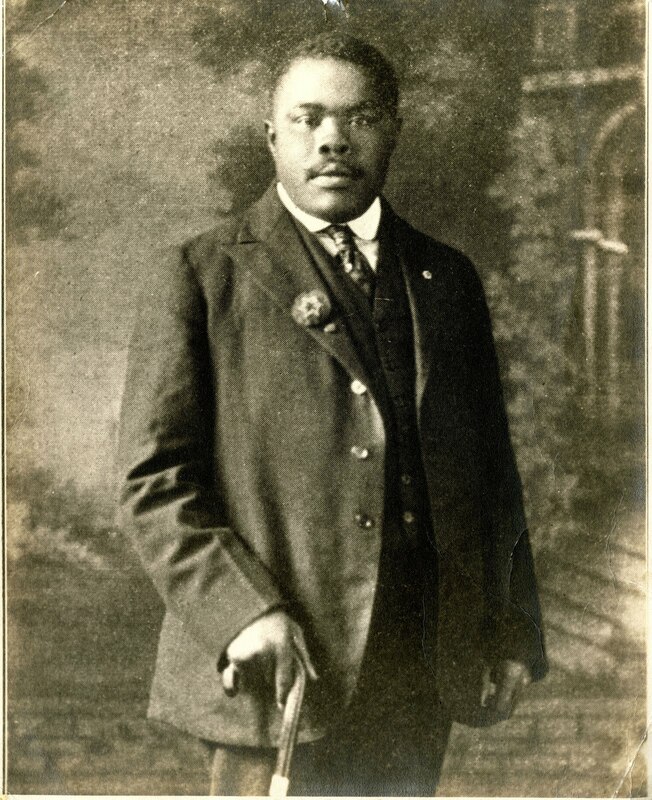 Unfortunately, with the passing of time and the onset of modernization, not enough has changed with regards to the fundamental conditions Garvey initially sought to address. As a result, many of his ideas are still useful. Many of the principles he espoused remain applicable to the African development cause. In conclusion, I will say that there is no use crying over spilled milk. My reflections should not be read or interpreted as blame on leaders who were the contemporaries of Garvey, or those who came along subsequently. Blaming leaders of the past for the decisions they made will get us nowhere at this point. The conspiracy against Garvey was massive, of the kind only governments could have undertaken, so many fell victim. The more important point is that we learn from their mistakes. The call to lend a hand to the betterment of the lives of African people globally is noble and we should get on with it. Whosoever will come on our terms may come. When it is considered that twentieth century civilization pays homage and worships peoples and nations only on the basis of wealth, it should not be surprising to understand why the African is universally ignored...With all that may be said of the morals and ethics of our time, carrying with it the suggestion of rights, liberty and justice the whole fabric is based upon economic wealth ... so it behooves the African to think in terms of economic expansion through which he may endorse the consideration that is necessary for his political, social and other betterment. This essay was first published on March 19, 2011.